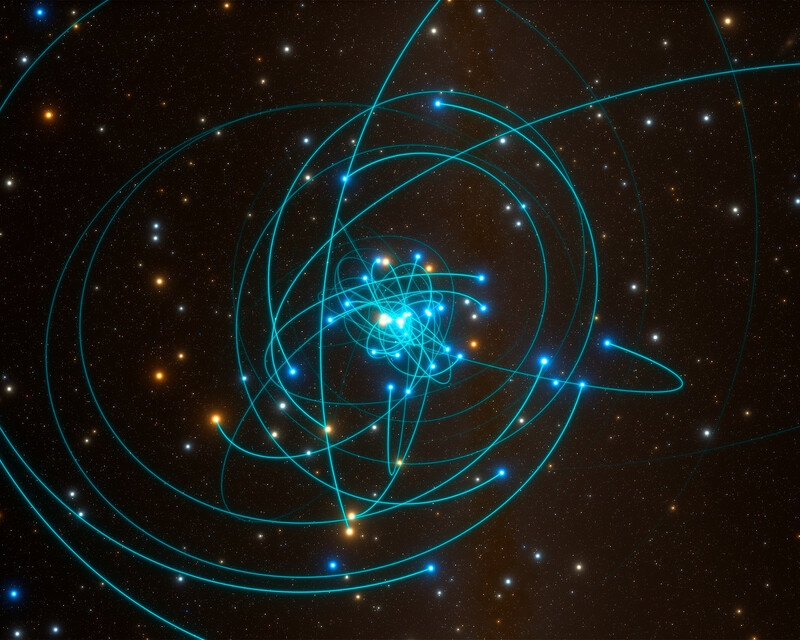 This simulation shows the orbits of stars very close to the supermassive black hole at the heart of the Milky Way. 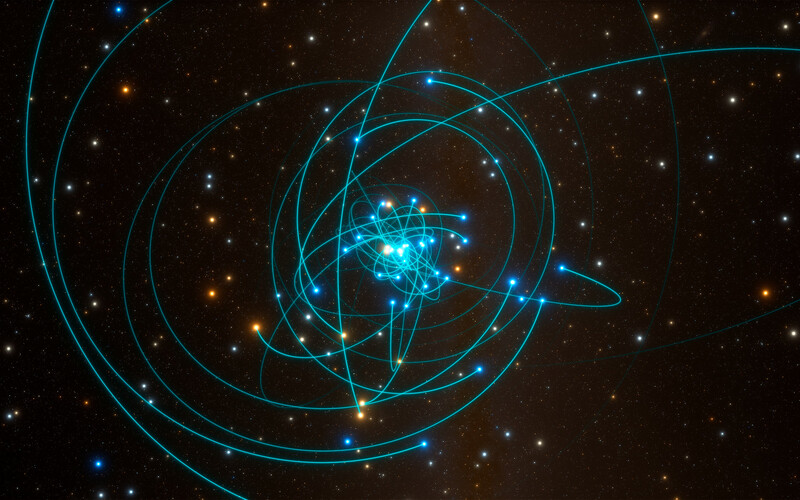 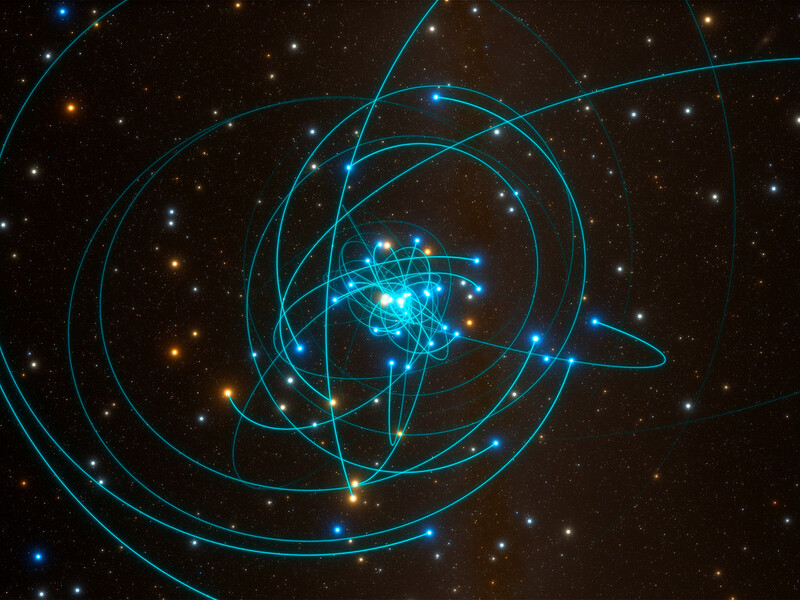 One of these stars, named S2, orbits every 16 years and is passing very close to the black hole in May 2018. 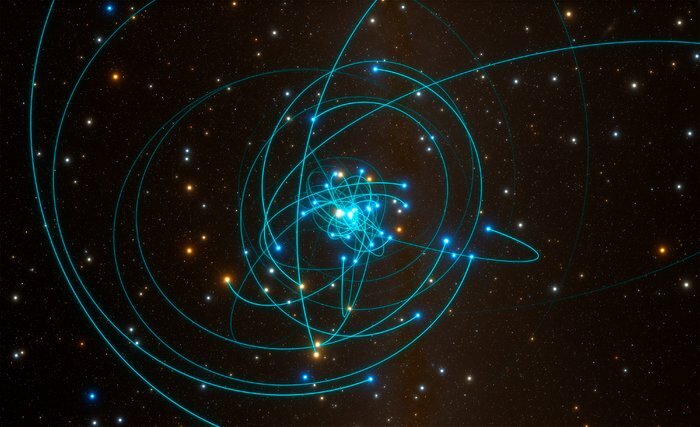 This is a perfect laboratory to test gravitational physics and specifically Einstein's general theory of relativity. Research into S2's orbit was presented in a paper entitled “Detection of the Gravitational Redshift in the Orbit of the Star S2 near the Galactic Centre Massive Black Hole“, by the GRAVITY Collaboration, which appeared in the journal Astronomy & Astrophysics on 26 July 2018.